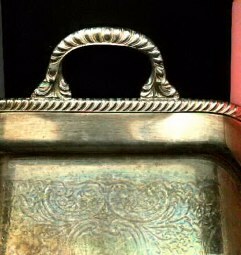 when it later appeared at HCA auctions in 1998. 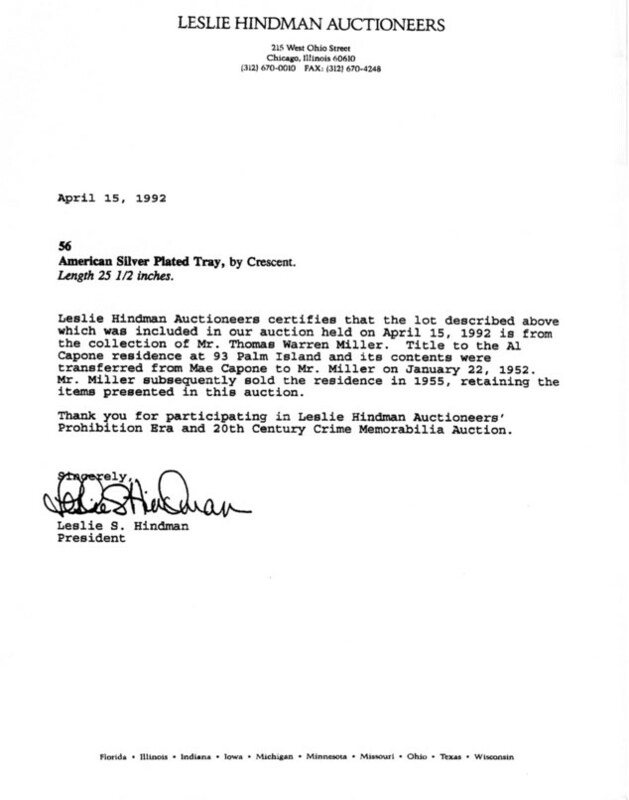 COA from Leslie Hindman's much publicized Al Capone auction which took place April of 1992. Government exhibit in Al Capone's tax trial showing he purchased many items including silver trays (6th, 13th and 21st items from top). 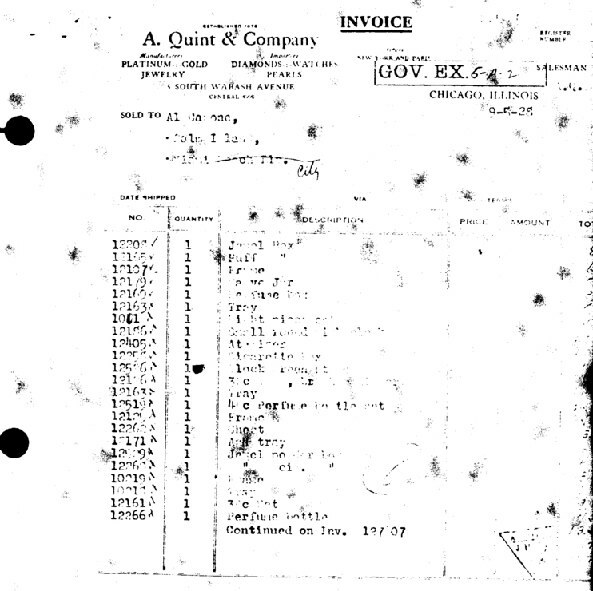 This invoice shows the items were purchased at A. Quint Company 5 South Wabash and were sold to Al Capone for 93 Palm Island, Miami Beach. Other invoices were for items sent to the Lexington Hotel and 7244 South Prairie Avenue. 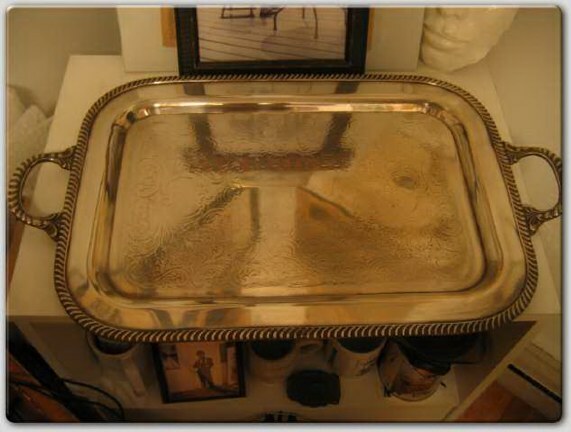 This tray was acquired by Mr. Thomas Warren Miller. 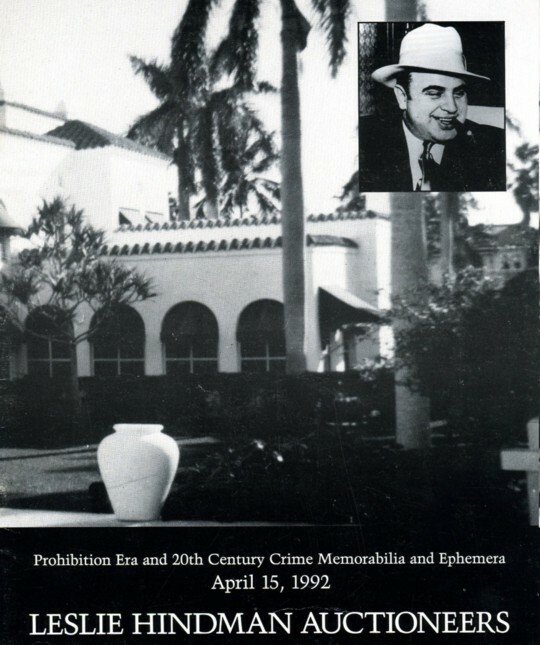 He had purchased the Florida Mansion at 93 Palm Isle and it's entire contents.This tray was sold at Crime Memorabilia auction featuring items from Al Capone in 1992 by Leslie Hindman auctioneers. 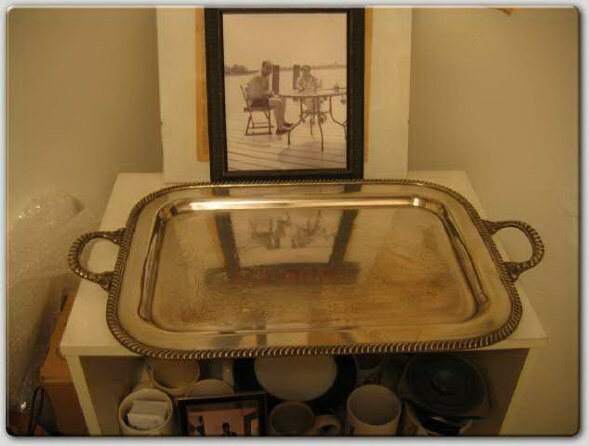 Al Capone's personal serving tray.